This uniquely arched back chair offers not only back support but a comfortable place to sit down and relax. Designed in a casual barrel back style, this chair features smooth pulled upholstery with thin sloping arms for a contemporary accent. A padded seat cushion offers medium-firm comfort while casual seam stitching creates a fine tailored look. Crafted for the convenience of modern life styles, this chair also features a hidden swivel base, allowing its occupier to turn in place, ready to converse no matter where in the room the conversation takes place. A casual piece with a bold yet simple style, this chair complements casual and contemporary styles in living rooms, family rooms, apartments and dens. 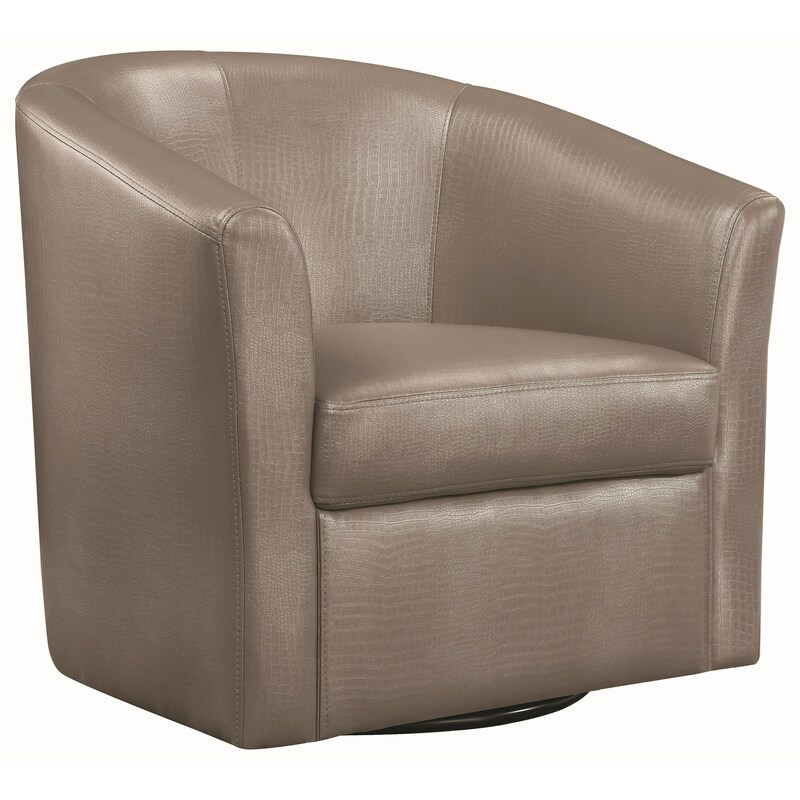 The Accent Seating Contemporary Styled Accent Swivel Chair by Rooms Collection Two at Rooms Furniture in the Houston, Sugar Land, Katy, Missouri City, Texas area. Product availability may vary. Contact us for the most current availability on this product. Fabric Content Available as Shown in Red Leather-Like Vinyl. This Chair May Also be Available in Dark Brown Vinyl Through Special Order Methods.